Empire specializes in sweet single-origin coffees which change frequently, and they pull very short ristretto-style shots, reducing bitterness and enhancing the bolder flavors of the beans. 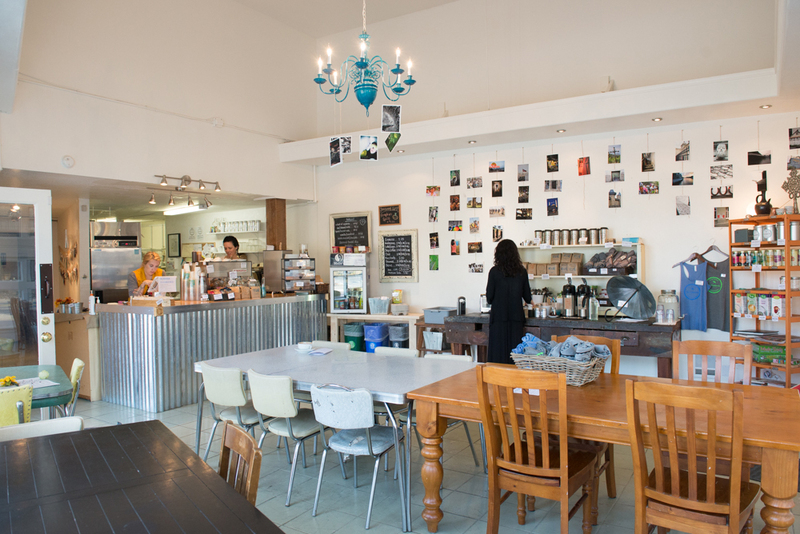 Much loved by locals, this cafe, tucked away off Rainier Avenue, serves the diverse community of Columbia City. The best outdoor seating in the neighborhood provides space to sip, work, and talk with friends while enjoying food from the tiny kitchen—which churns out impressive fare for its size, such as full breakfasts and panini with housemade sauces. Espresso drinks and Aero or French press are the standards here, featuring Kuma beans. Empire also doubles as an affordable place to bring the family to watch the big game, and serves beer and wine to boot. Joya Iverson left a marketing-strategy consulting career to open this lovely cafe in the heart of Hillman City, just south of Columbia City. Located in what was once an illegal gambling den, Tin Umbrella is now leading a revival of the neighborhood, which didn’t have a coffee shop until it opened. It has become a community hub for neighbors and families to meet. House-roasted coffee is on offer (try the Chase Your Dreams blend with a unicorn on the label), as well as pastries from local independent bakers in the south end. A 24-hour cold-brew using single-origin Ethiopian Sidamo beans is a must-drink—you can even get it in growlers! Click here to check out the Seattle Weekly’s full list.